The facility was located in a remote northern area which made sourcing quality labor difficult to attract and expensive to maintain. Automation was a must. They required a one-stop-shop that would include everything from R&D, weld procedures, engineering design, through to the manufacturing of a highly customized pipe handling and joining system, followed by commissioning on site, extensive training and ongoing after-market support. Short lead times and budget were also major considerations for the customer. The customer new that there was one company that could deliver on all of the the above needs: LJ Welding Automation. LJ deployed a top‐down approach on the entire system, starting with R&D and engineering. LJ's mechanical and automation engineers worked in tandem with the customer, welding staff, and vendors to create a test cell to prove the concept out and develop a repeatable weld procedure. Experienced engineering and automation know-how combined with practical input from B-Pressure experienced welders, resulted in a weld procedure verified by a 3rd party qualification company (Qualimet). Ultimately, the CMT root pass welds were passed and procedures qualified with ABSA, resulting in a highly innovative welding robotics solution that will work not only in the lab but in practical field applications. The process utilized the "Twin" CMT (Cold Metal Transfer) welding process provided by Fronius, to take advantage of CMT's low heat input and ease of automation with Kuka robotics and vision seam tracking packages. Tandem power sources, wire feeders and specialty torches were used to deliver independent 2 wire welding. Lab results were astounding: up to 15 inches/minute root passes and 22 lbs/hour welding deposition rates were achieved. Whereas conventional systems typically require either a manual root weld or separate welding system for the root and fill passes, this system was able to handle all steps with a single piece of equipment, offering maximum flexibility and ROI for the customer. LJ is now in the process of designing the remainder of the cell including robotic headstock positioner, alignment idlers, internal pipe clamping, induction heating, and robotic welding system on a travel car. 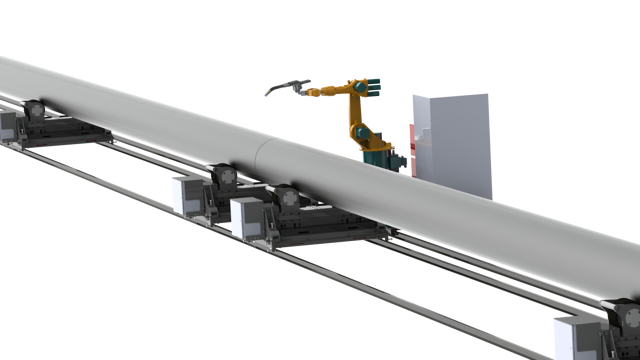 The end result will be a system capable of complete start to finish handling with full root, fill and cap welding of pipe sections and the fastest cycle times in the industry. LJ has achieved up to 15ipm for root passes (as much as 200‐300% faster than conventional manual passes), and up to 22lbs/hour on fill passes (comparable SAW deposition rates) all with one single system. Customer will benefit from reduced downtime caused by skilled labor shortages that are common for the area. 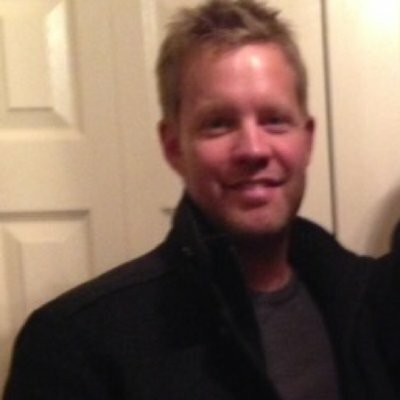 Would you like a free 20 minute consultation with engineering or sales? If you liked this blog, please share! 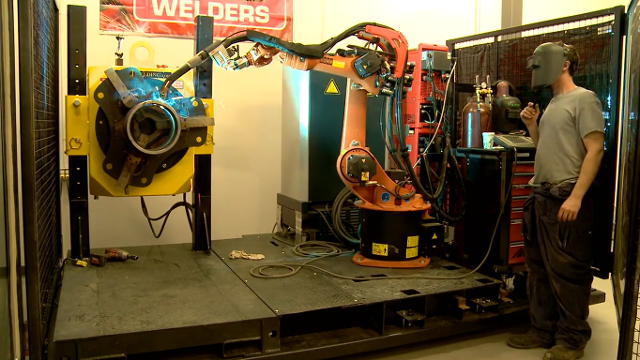 See How LJ's Automated Welding Systems and Heavy-Duty Equipment Can Help You Today. 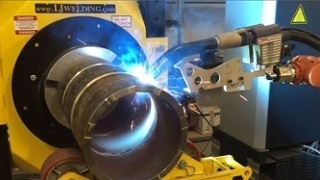 Welding Automation For Any Application. Whether you need a welding positioner, pipe stands or even a custom welding manipulator for your next job, LJ equipment makes sure your welding application is done right the first time.